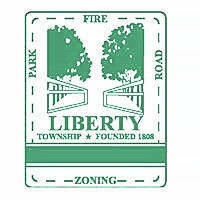 At the end of February, the lease for the Liberty Township offices will expire, said Administrator Matt Huffman in a discussion of options with trustees to either continue to rent office space or to utilize township property. Huffman told trustees if the township decides to stay in the space at 10104 Brewster Lane, Powell, there would be an increase in rates. Trustees tabled a resolution earlier in the meeting authorizing Huffman to consult with Schorr Architects about possible options for administrative office space. Trustee Shyra Eichhorn said in their last meeting that she and Trustee Melanie Leneghan talked about the different possibilities. She said they are comparing the costs of continuing to rent space, building a new facility on existing township property, or remodeling an existing township building. Eichhorn said she would like to see an analysis of all the different options before making a decision. Leneghan said she thought that the township shouldn’t be in the business of maintaining buildings. Leneghan said in the current office arrangement there are 10 closed offices and room for six cubicles and an entry area that is large, all for only five people. In the Dec. 18, 2017 trustee meeting, department heads discussed some of the possibilities with the trustees. Andy Curmode, parks and roads superintendent, suggested using the old park department office and shop building. Other ideas from department heads included utilizing space at the township hall, the open space on the second floor of Fire Station 322 or building something new. By the end of both meetings, trustees agreed to continue to study all options. This entry was tagged Curmode, Eichhorn, Gemperline, Leneghan, Liberty Township. Bookmark the permalink.